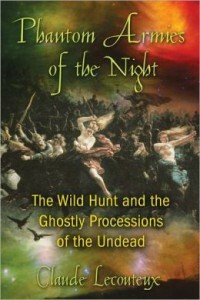 Claude Lecouteux’s Phantom Armies of the Night: The Wild Hunt and the Ghostly Processions of the Undead is one of the most significant studies of the Wild Hunt that have been published in recent decades. The Wild Hunt is a staple of the folklore of Europe, especially northern Europe. In the ancient, medieval, and early modern periods, many people (so the lore goes) experienced a nocturnal cavalcade of spectral hunters or warriors, riding atop sinister horses and accompanied by baying hounds, riding through the howling winds of midwinter. This horde often wrought mischief and woe on anyone who was unfortunate enough to be in its path. Its leader was most commonly, but by no means always, the Germanic god Odin. Lecouteux provides a treasure trove of information on the Wild Hunt and related phenomena from across Europe. 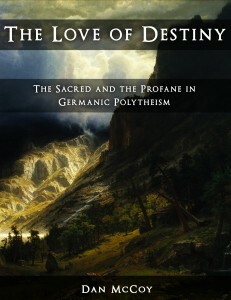 As his research makes clear, it’s difficult, perhaps impossible, to completely disentangle the Wild Hunt from the many related nocturnal processions that were recorded in the same time periods, many of which were actually quite benign and had a strikingly different character than the typical northern Wild Hunt while nevertheless sharing several important points in common. However, past these points, Lecouteux’s analysis is rather convoluted and shaky. 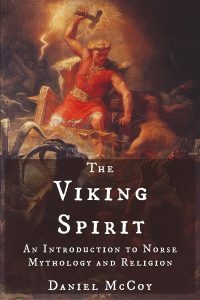 Much of it asserts that Odin wasn’t the original leader of the Wild Hunt, but was a later addition, a position that’s quite difficult to defend, both on mythological and etymological grounds. A good portion of his argument on this point stems from an overly rigid application of the studies of the eminent Indo-European scholar Georges Dumézil. To oversimplify greatly due to limitations of space, Lecouteux argues that since the Wild Hunt possesses many traits that connect it with the concerns of the common people, and since Odin was a god who was especially closely associated with the ruling classes, he couldn’t have possibly been the original leader of the Wild Hunt. The analysis also seems rather sparse relative to the sheer amount of information Lecouteux provides. Disappointingly, he invokes the well-worn scholarly cop-out of, in his words, “we cannot reach a conclusion,” “many points remain to be explored more deeply,” and the complexity of the subject “makes us conscious of the limits of our knowledge.” Those latter two points are certainly valid in addition to a conclusion, as qualifications to it, but come across as nothing more than hollow platitudes when given instead of more of a conclusion, given the sheer amount and scope of the data of which Lecouteux has a masterly knowledge. Despite these flaws, Phantom Armies of the Night is essential reading for anyone with an interest in the Wild Hunt. Those who are interested in European animism in general will also find much of value here, since this book demonstrates just how long elements of pre-Christian animism remained a part of everyday life and belief well after the official Christianization of Europe. Recommended. Click here to view or buy Phantom Armies of the Night at Amazon.com.